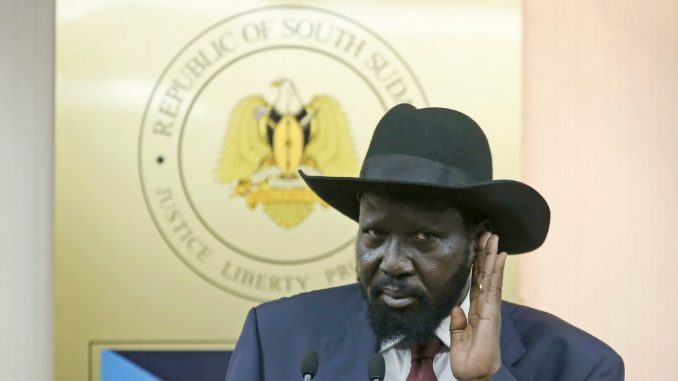 The Sudan People’s Liberation Movement in Opposition (SPLM-IO) has accused the forces of South Sudan President Salva Kiir of violating the Khartoum ceasefire declaration. Last month, Salva Kiir and his rival, Riek Machar signed a peace deal that was to ‘permanently’ ensure peace in the country. The two leaders agreed to a ceasefire within 72 hours of signing the Khartoum peace agreement following a face to face meeting. The Khartoum declaration calls for disengagement, separation of forces in close proximity and withdrawal of allied troops among others. Following the meeting, Riek Machar was again appointed First Vice President, and an additional 150 spots for members of parliament added where Machar would have 100 MPs while 50 would go to other opposition groups. However barely a day after the declaration of the ceasefire, the opposition has accused the Government of violating the agreement. The rebels say government launched a heavy attack in Mboro, Wau County while South Sudan Government accuses the opposition of striking their areas. 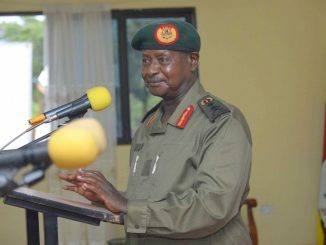 In a press statement issued today, the SPLA IO says whereas South Sudanese are supposed to be in an Independence Day spirit with hope for genuine peace to come, SPLA IO territories are being attacked and the Government is planning to rearm their forces in all fronts by acquiring military logistics from their usual allies. “This morning the 10/07/2018, over 200 regime’s soldiers went out of Morobo Town and attacked the SPLA IO base at Isebi in Lujulo Payam of Morobo County, Yei River State. The fighting is still on-going. Details will follow later.” A statement issued by Colonel Lam Paul Gabriel the Deputy Spokesperson SPLA IO reads. Lam Paul further notes that the Chief of staff Gen. Jok Riek, recently travelled to China on a secret mission aimed at acquiring new weapons to continue with their military campaign despite the on-going peace process. 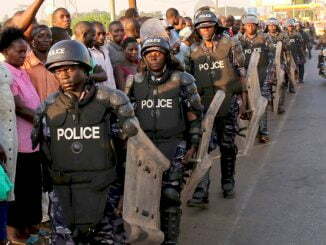 “According to an insider, the weapons are to be dropped in Wau Airport or acquired through a third country to avoid detection. This is a blatant violation of the signed permanent ceasefire.” He says. He called upon United Nations Mission in South Sudan (UNMISS) and the Ceasefire and Transitional Arrangements Monitoring Mechanism (CTSAMM) to monitor the aggressive development aimed at derailing the on-going peace process. Previous efforts to end fighting between the rival forces since 2013 around South Sudan have failed, leaving tens of thousands dead, and around four million either internally-displaced or forced to flee to neighbouring countries. The humanitarian crisis has left millions without enough to eat, and led to famine in parts of the country. Attempts to settle the disputes between the two principles fell apart in 2016. The two parties have been facing a deadline to talk peace and avert United Nations sanctions. 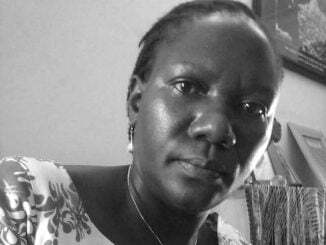 South Sudan has been in chaos from 2013 when Kiir accused his first vice president; Riek Machar of treason, Machar also accused Kiir of plotting to assassinate him.